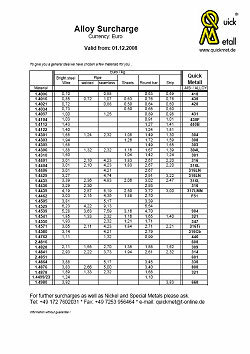 The current Alloy Surcharges are available for download. Upon request we will also send you the list of the current Alloy Surcharges. Please call us!